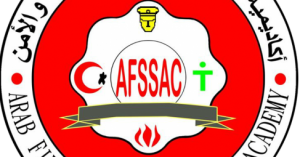 AFSSAC offers fire investigator training course represented in Fire investigator program that is a qaulifying program in fire science. Who should take this fire investigator training course ? Those who work in the field of investigation in fire, safety and industrial security department. Qualifying national cadres specialized in the technical investigation of the fire incidents in general. first of all, Identify the importance of the technical investigation in the fire accidents. The ability to identify qualities of fire investigator. Having the ability to identify the information and studies required by the investigator. Realizing the key factors for the ignition. Identify combustion properties of different materials. Understanding heat sources and methods of transmission. Knowing the main causes of fires and identify the causes of arson. Identify procedures and methods of gathering information. Identify the importance of physical evidence in the technical investigation. Observe and inspect the place of the accident. Raise the skills to cross-examine witnesses and workers in the accident site. Study the pattern or types of the combustion model. Identify the technical tools needed for an investigator to conduct the examination, inspection and collect samples from the scene. Know the reasons and the risk of platforms shipping fire and means of insurance. Finally, increase skills in writing records and technical reports. First of all, fire chemistry. Information and studies required by the investigator. The main causes of fires. Chemical and physical analysis of the fire remains. General rules for the success of the investigation. Basic requirements: Obtaining hazardous materials – awareness. * Duration of the program: a month and a half – five days a week -180 training sessions (40% theoretical 60% practical).